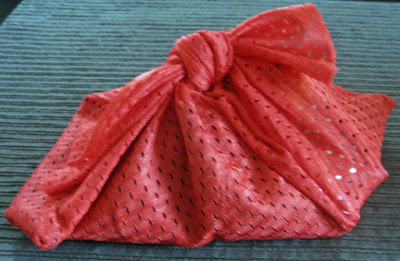 I love this design and have used several times over the years!!! I created the little town of Bethlehem graphic many years ago when I first created cards with this stamp using kraft paper which bleaches to yellow. This time I laser printed the town onto ivory paper and watercoloured the star's center after embossing it in gold. Still works beautifully!! 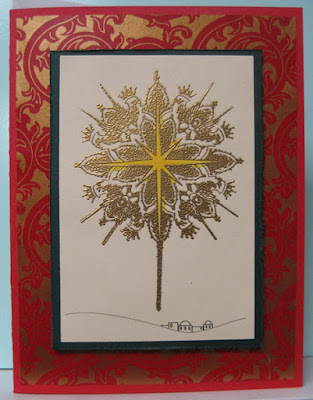 I layered this focal element onto a green layer and used 3D foam tape to adhere it to my red card front to which I had already glued a beautiful gold/red decorative paper. The most time consuming part of this card is embossing the stamped image with gold embossing powder!! Still a pretty quick card to make up!!! For my second card, I used a green card and glued on some metallic holly decorative paper leaving a small border all the way around. 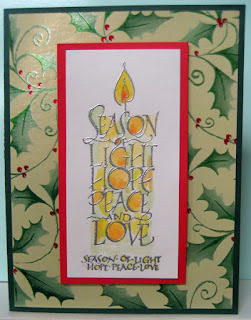 The image - Season of Hope candle was stamped and embossed with silver embossing powder. This is one of my favorite Christmas card images!! I watercoloured the spaces in the image using green, yellow and orange. Once it was dry, I mounted it to a red rectangle of cardstoc and adhered it over the decorative paper using 3D foam tape. One of the girls used chalks on her image tonight and it turned out beautiful and much easier to do that using watercolour with a very similar effect. I will have to try that next time.